We ask for no up-front payment, and there are no hidden charges either. We merely take a percentage of your land’s final sale value, but only if and when planning consent is granted and its sale is realised. Embarking on a project to seek and achieve the appropriate planning permission and then sell the land to the developer who’ll pay the most, is a daunting process, requiring skill, experience and not a little perseverance! if PP is not achieved, there is nothing for you to pay. Try to sell directly to a house-building company. These companies are unlikely to buy it outright without PP in place; they will more than likely create an option to buy it ONLY if and when planning consent is granted. 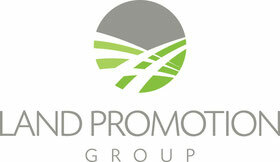 They may well ‘sit’ on the land for many years until they are ready to seek PP and develop the land. When they do buy it from you, they are of course seeking the lowest possible value for it. Seek planning permission directly. Seeking planning permission is extremely costly, time-consuming and can fail without experience of the process understanding the pitfalls, especially for larger projects. 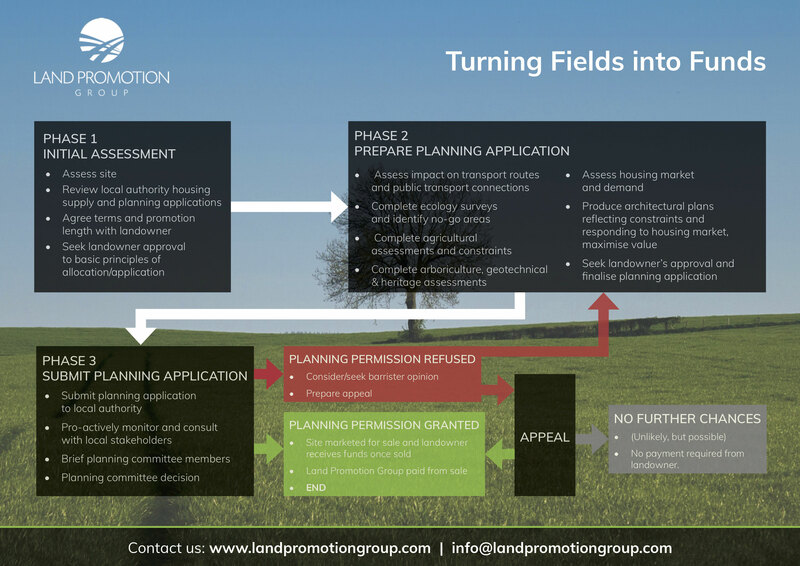 Working with the Land Promotion Group, by contrast, guarantees a greater chance of a successful application, thanks to our many years’ experience of applying and achieving planning permission for large development projects (see more about who we are). Compared to selling directly to a developer who wants to pay the lowest possible value for your land, our interests are perfectly aligned with yours: we have the same goal throughout the process to make your land as valuable as possible, achieve planning permission and a sale at the highest value, at the earliest opportunity.